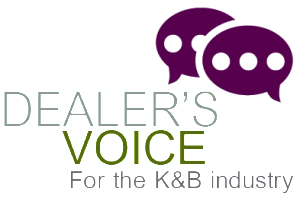 Discussion and resources to help cabinet dealers and remodelers succeed. Tap into industry discussion and articles on every aspect of the running your business. News, insights and best practices in sales, marketing, operations and more. Resource Center: Whitepapers, eBooks, studies and more for dealers and remodelers. Podcast: Audio discussion and commentary. Discussion and resources to help cabinet manufacturers and suppliers work more effectively with their customers. The Vendor’s Voice is integrated with Equilibrium so your product announcements are delivered real time to thousands of users. You can also tap into industry research and insights in dealer ordering systems, catalogs, pricing and more. Blog: Articles and discussion, including manufacturer catalog updates and new product releases. Resource Center: Whitepapers, eBooks, studies and more for vendors and manufacturers. Discussion and resources to help prospects get educated. Join the discussion with buyers and drive more leads to your website. For Momentum customers, the Consumer’s Voice augments marketing efforts by helping turn websites into a lead generation machines. Get a free marketing assessment below. Resource Center: Whitepapers, eBooks, and kits to help buyers stay informed. Tools & Apps: More resources to help buyers connect with dealers and remodelers.